A few months ago a translator came to me very distraught that the CDs he mailed to the publisher a continent away was unable to read his CDs. So I asked him how much information he had on the CDs and he gave me a USB disk that had 1 GB of data on it. We don’t have a very great internet connection for downloading data, although we have improved it since this original problem, but we have an even tougher time uploading data to the Internet. It easily takes 4 hours to upload a few 100 MBs. We didn’t have time to mail it, if we wanted to get it to the printer and make the next shipment from JAARS. So I turned to dropbox, and online file sharing site that gives you 2GB of free storage and is password protected. So after 48 hours of uploading data to the internet we were able to get the Bible Story and scripture books uploaded to the internet. 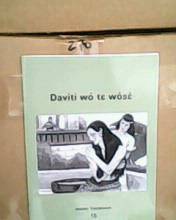 Last week the shipment arrived from the United States and over 300,000 Bible story books are now available in the Baka language. 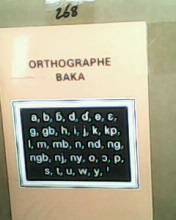 This shipment also includes books on learning how to read since the literacy rate in their mother tongue is less than 1% and in their second language of French it is less than 5%. 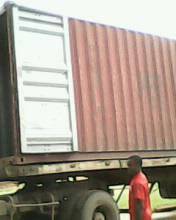 This shipment also came with 80 proclaimers for the Baka so the people can listen to the Bible stories as well as read them. 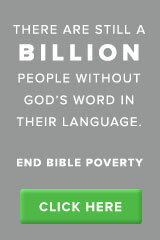 Please pray for the Baka people that they will learn to read and that God’s Word will transform their life. This entry was posted in Cameroon, Computers, Wycliffe and tagged Baka, Bible Stories, Cameroon, Dropbox, Proclaimer. Bookmark the permalink. God is so good. May you see the fruit of your labor as people read and/or hear, and in faith come to Jesus.